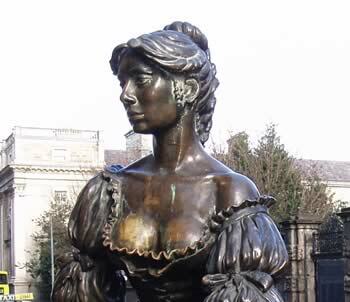 ... then the Dublin treasure hunt is for you. The benefits to your company will be felt in several directions. First and foremost, the Dublin treasure hunt can be presented as a corporate event. It is in fact an excellent team building exercise. By billing it as a company away day in Dublin, you will avoid the inevitable moans and groans when a team building day is announced. Secondly, it is something that anyone can take part in. The way we structure your Dublin corporate event, no-one will be left standing around waiting for their 'turn', something that conventional corporate events and team building fails to address in most cases. Amongst the many other benefits, the Dublin treasure hunt enables the development of communication, planning and creative thinking. But why choose us for your Dublin treasure hunt? Your treasure hunt will be fully customised to suit your sepcific industry and company. We do much more than just adding your company name and logo to each page!